Abdullah found life unbearable as a gay man in his mid-20s in Saudi Arabia, a country where homosexuality is illegal and carries the death penalty. “Life in Saudi was difficult. Everything is done in secret. There are so many strict rules. You feel that you don’t own your life, someone else does,” he said. So, when he was asked to accompany his sister to the UK for her studies, he saw this as a chance to flee to a safer place. Living in the UK with his sister offered a glimpse of hope and a sense of freedom that Abdullah was longing for. Yet soon, this new-found freedom was met with new challenges. With no money or a place to live, Abdullah also applied for emergency accommodation, known as Section 98 support. Yet, his application was refused three times for different reasons. One of the reasons was the Home Office said that Abdullah had not told them that he needed accommodation and support during the screening, a claim which he proved is not true. 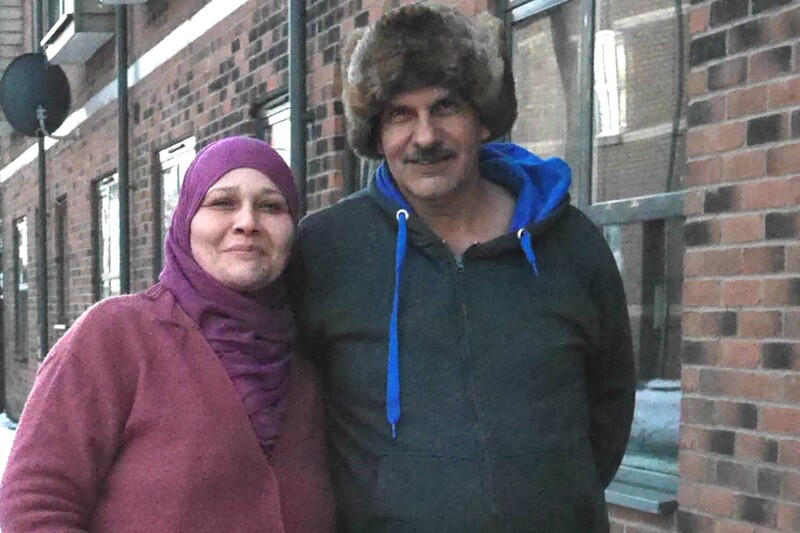 As Christmas 2016 approached Abdullah says he found himself roaming the streets of Manchester in the bitter cold, looking for a warm, dry street corner to sleep in. With nothing but a small bag of possessions, Abdullah did not have a blanket or much else to keep him warm. He would often find charities to give him a warm meal and at times, a place to stay. But for three weeks, he was sleeping rough. Abdullah says that he was grateful when Refugee Action stepped in to help him. “When another organisation put me in touch with Refugee Action they said to me ‘you came to the right place.’ They helped me get into a night shelter, where nice food and sleeping bags were provided. But some nights I still had to sleep rough,” he says. Refugee Action also challenged the Home Office’s decision to refuse Abdullah support. After three weeks from his initial application, he was finally granted emergency accommodations. Another three weeks later he was given further support, through Section 95, which is given to people seeking asylum while their asylum claims are ongoing, including a room in a shared house and financial support. Sadly, Abdullah’s story is far from unique. New research conducted by Refugee Action, based on analysis of more than 300 asylum support cases between January 2016 and March 2017, shows people at risk of homelessness and with no means of supporting themselves are waiting an average of nearly two months for housing and the small amount of money they are entitled to for essential living costs, including food, clothing and transport. The study shows that more than half of people in crisis, like Abdullah, had their application for emergency support, known as Section 98, turned down. But the vast majority (92%) were approved when people challenged the decision. Following months of uncertainty and distress, Abdullah’s life is beginning to look more positive. He was recently granted refugee status. His next step is to find permanent accommodation as well as employment. He also hopes to study for a business degree. Abdullah found life unbearable as a gay man in his mid-20s in Saudi Arabia, a country where homosexuality is illegal and carries the death penalty….